A crisp cluster does not share an object with other clusters. But in real life situations for several applications such rigidity is not acceptable. Hence, Fuzzy and Rough variations of a popular K-means algorithm are proposed to obtain non-crisp clustering solutions. An Evidential c-means proposed by Masson and Denoeux  in the theoretical framework of belief functions uses Fuzzy c-means (FCM) to build upon basic belief assignments to determine cluster membership. On the other hand, Rough clustering uses the concept of lower and upper approximation to synthesize clusters. 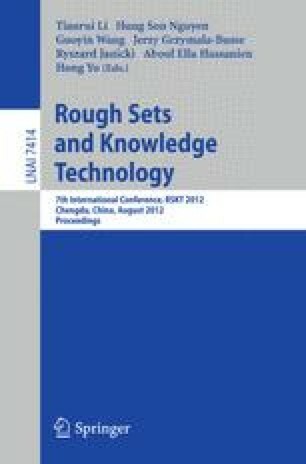 A variation of popular K-means algorithm namely Rough k-means (RKM) is proposed and experimented with various datasets. In this paper we analyzed both the algorithms using synthetic, real and standard datasets to determine similarities of these two clustering approaches and focused on the strengths of each approach.